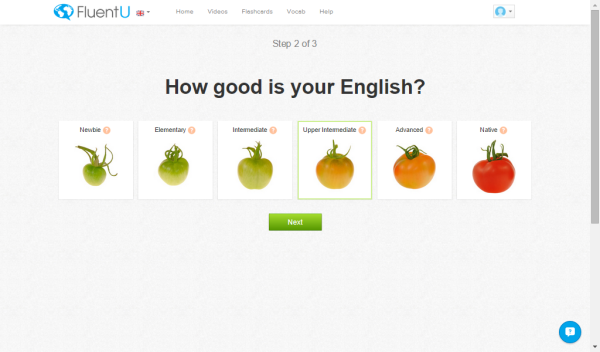 FluentU, busuu, Bliu Bliu… What is it with all the ‘u’s? 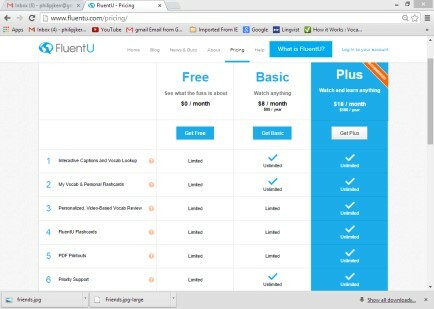 Hong-Kong based FluentU used to be called FluentFlix, but they changed their name a while back. The service for English learners is relatively new. Before that, they focused on Chinese, where the competition is much less fierce. 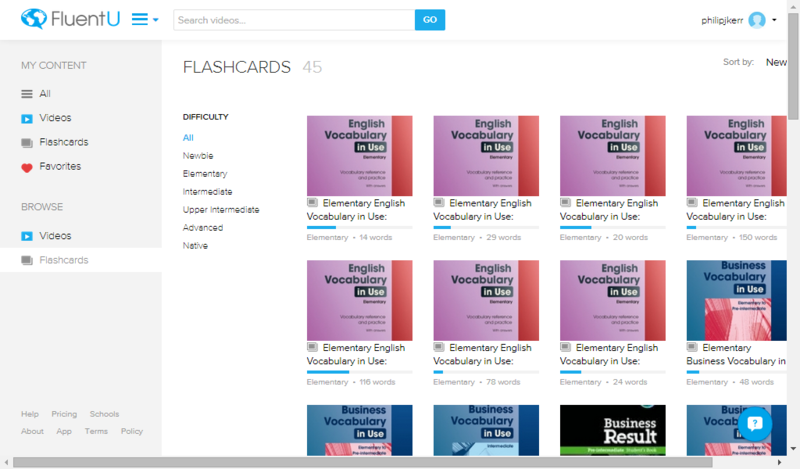 FluentU selects the best authentic video content from the web, and provides the scaffolding and support necessary to bring that authentic content within reach for your students. It has to be assumed that the amount of content will continue to grow, but for the time being, it’s not unreasonable to say that there isn’t a lot there. 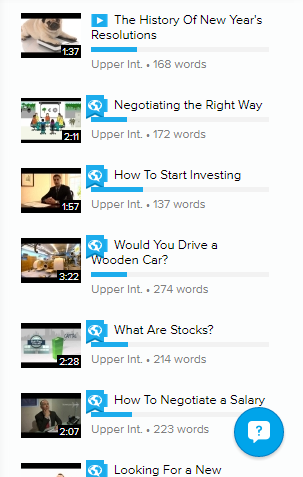 I looked at the Upper Intermediate level where the shortest was 32 seconds long, the longest 4 minutes 34 seconds, but most were between 1 and 2 minutes. That means that there is the equivalent of about 400 minutes (say, 7 hours) for this level. Level is self-selected. 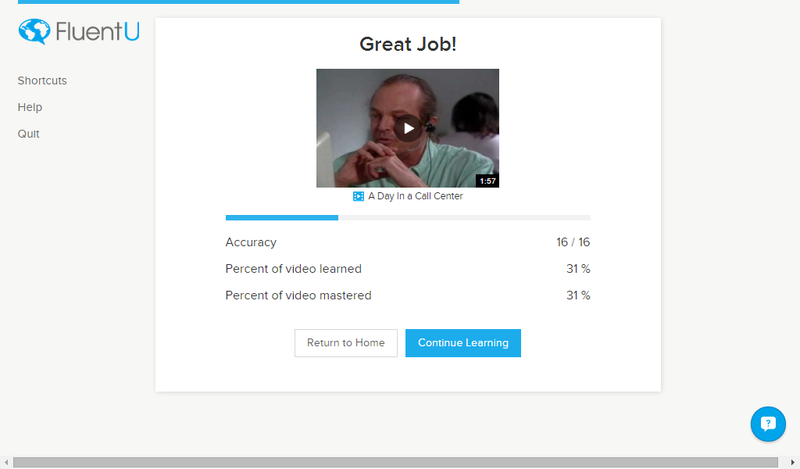 It wasn’t entirely clear how videos had been allocated to level, but I didn’t find any major discrepancies between FluentU’s allocation and my own intuitive grading of the content. Clicking on words in the transcript, the look-up/dictionary function wasn’t too bad, compared to some competing products I have looked at. 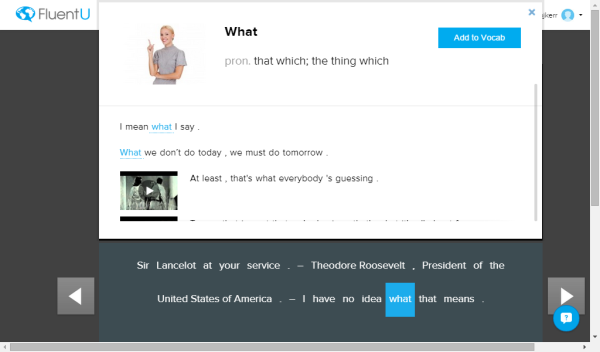 The system could deal with some chunks and phrases (e.g. at your service, figure out) and the definitions were appropriate to the way these had been used in context. The accuracy was far from consistent, though. Some definitions were harder than the word they were explaining (e.g. telephone = an instrument used to call someone) and some were plain silly (e.g. the definition of I is me). 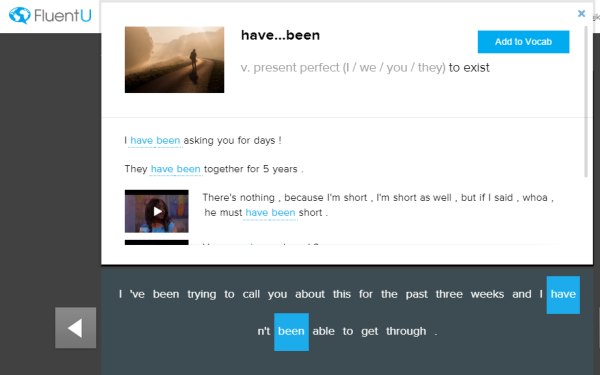 The example sentences don’t seem to be graded in any way and are not always useful. The example sentences for of, for example, are The pages of the book are ripped, the lemurs of Madagascar and what time of day are you free?. Since the definition is given as belonging to, there seems to be a problem with, at least, the last of these examples! 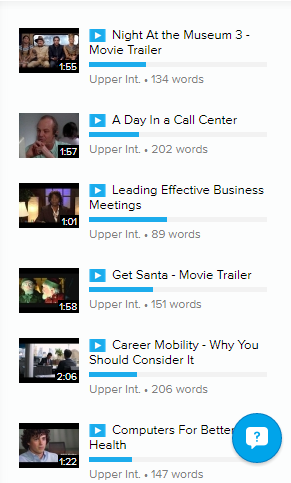 With the example sentence that links you to other video examples of this word being used, I found that it took a long time to load… and it really wasn’t worth waiting for. I was getting increasingly confused. After watching another video, I could practise some of the words I had highlighted, but again, I wasn’t sure quite what was going on. 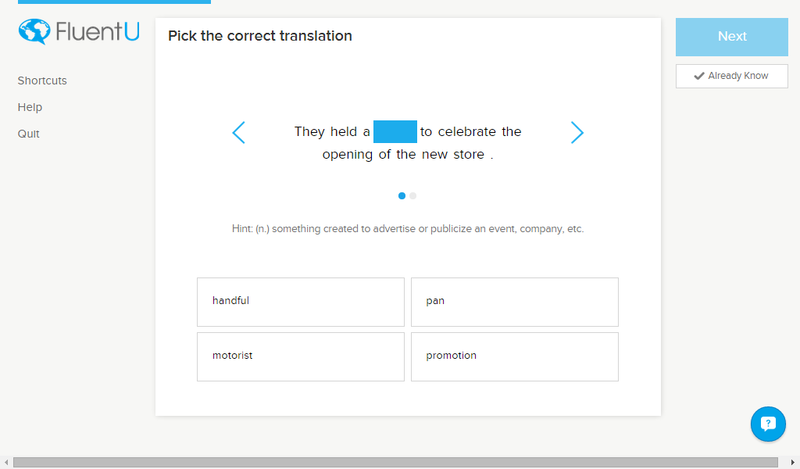 There was a task that asked me to ‘pick the correct translation’, but this was, in fact, a multiple choice dictation task. The ‘individualized scaffolding’ is no more than common sense, dressed up in sciency-sounding language. The reference to ‘Mastery Learning’ is opaque, to say the least, with some confusion between language features and topic. The gamification is rudimentary and the personalisation is pretty limited. It doesn’t come cheap, either. 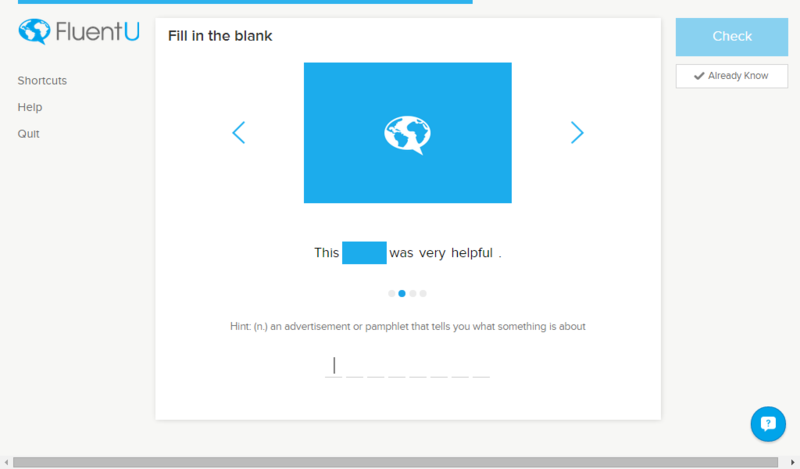 This post was originally published on Philip’s blog Adaptive Learning in ELT on January 5th, 2015.